A multimeter is an absolutely invaluable tool to anyone who works in the field with electricity, whether you're a technician, electrician or HVAC worker. Whether you need to diagnose a faulty instrument, testing something small like a fuse or just make sure that the circuit you are cutting into isn’t live, DMM (digital multimeters) are an absolute essential. These aren’t a tool to cut corners on in pricing, you deserve only the best and this unit delivers some of the best technology in the field. If you're in the market for a fantastic new meter, our honest Fluke 87V review will tell you everything you need to know before you make your purchase. This meter is designed for use in industrial environments and has a multitude of features. As far as electricity goes, this meter can measure nearly every piece of the puzzle from AC DC to resistance to capacitance and even frequency and diode test. It also comes with a built in thermometer with a range of -328°F to 1994°F and a temperature probe for more tricky measurements which measures from -40°F to 500°F. The meter can also withstand sudden pulses of up to 8,000 volts, and all parts of it are compliant with the appropriate codes. The 87V Multimeter is the only meter on the market which can operate and maintain accuracy while testing adjustable speed devices. The 87V has been specifically designed to be able to operate within the chaotic mess of signals which can emanate from such a device, adding yet another degree of separation from the competition that makes this meter a must have for any serious technician. This meter also features a backlight, allowing it to be read without the use of a flashlight in dark areas. This means less fumbling in the dark for you as you seek to get an accurate reading on the problem you are facing, and everyone knows it’s no fun to play contortionist when you’re stuck in the corner of a hundred degree attic or investigating an issue in the crawlspace under a home. The meter itself is a robust but small design, sure to fit into small spaces with you, and rugged enough to stand up to years of use. Once you add in that it has a magnetic hanger to allow your hands free reign with the probes, you’ll have to agree that even just the physical features of the product are rather impressive. This is one of those products that just oozes quality. From the moment you take it out of the packaging you can just tell you have purchased a quality handheld multimeter. 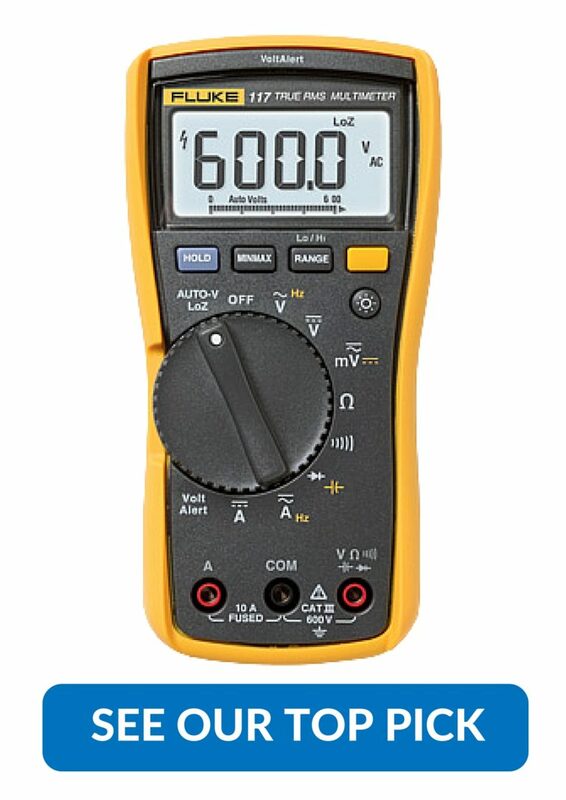 Once you have used this multimeter, you will see why Fluke are regarded as the best in the business. You will not regret making the purchase of the Fluke 87V. Why Buy a Fluke Multimeter? Fluke simply produces some of the best testing technology on the market today, standing head and shoulders over their competitors. You might save a little bit of money by purchasing an inferior product, but can you really afford that when even a minor failure might result in disaster? When Fluke makes something, they make it right and they’re one of the most trusted names for electricians, HVAC technicians, and whoever else might need to work with electricity whether the voltage is high or low. With a device like this in the hands of an experienced technician there’s almost no electrical problem that cannot be diagnosed and solved quickly with virtually no chance of failure. The device itself is subject to a lifetime warranty by Fluke, making it stand above even Fluke’s other multimeters. Many of their devices are guaranteed for at least three years, but the 87-V multimeter is one product that even the company which manufactures it trusts not to fail, even after long and heavy use in the field. This is an almost symbolic gesture really, showing Fluke’s impressive amount of faith in their product’s longevity. Put simply, any contractor worth their salt knows Fluke’s test equipment, and especially their meters, are reliable, tough, and provide a huge amount of precision in the field. When it comes to a testing device that you’ll be proud to own for years to come, pick a Fluke. Even coming from such a reliable company, this meter stands out in its unique functionality. It is an indispensable and highly effective meter, with a wide range of options and the ability to accept modular leads. Multimeters are a device that you absolutely must be able to trust, and the cheap ones aren’t just absolute junk, they’re also downright dangerous to anyone working with high voltage in an industrial or commercial environment. The only flaw here is that you’ll probably have to buy a set of alligator clips (being a more expensive meter, it would have been great if it came with a set along with the standard probes), but that’s hardly even a downside for the best multimeter on the market. Everything else is included to get you testing right out the box: a 9V battery, rugged case, test leads / test probes and a manual. With a lifetime warranty available through the manufacturer, a high level of recommendation from contractors in multiple fields and superior engineering, there’s no reason to have to wonder which meter you want anymore. You can trust Fluke’s 87-V model to be able to handle anything you throw at it and it will quickly become an indispensable part of your tool bag. Hi, I'm Simon. 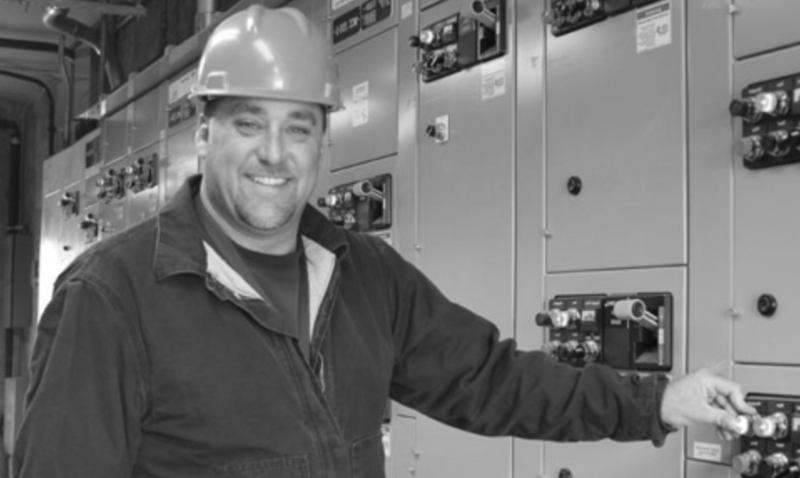 Industrial electrician with over 11 years in the industry. I've worked in several different countries and consider myself to me an expert on multimeters.